Next time you want to see the look of amazement on your kids faces, Mamma wants you to try this. Bundle everyone in the car. Pack a picnic lunch or some snacks and tell them we are heading on a walk. Drive to Kallisata, which is stunning to begin with, and park at the beginning of Neuman Track. Follow the path on the slow downhill trail for maybe 500/600 metres and watch as these 'dragons nests' appear before their very eyes! There are about half a dozen of these man made and intricately put together nests. The theories and stories that you can conjure up are limitless. Some are small, others huge - your entire family can rest in some! The structure of the nests are fairly solid but care is needed getting in and out. Safe to say our 8 legged spider buddies enjoy the nests as well so do keep an eye out. 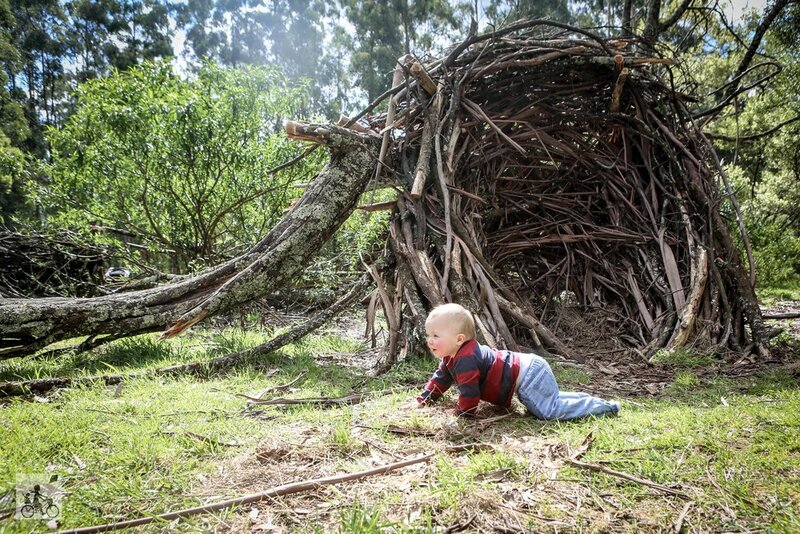 Besides the nests the space is nice and open with great opportunities for your own bush play and build to a cubby of your own. Or even challenge your fellow knight to a mighty sword fight as they protect the nests from egg raiders. The sounds of this trail and open area are also stunning. 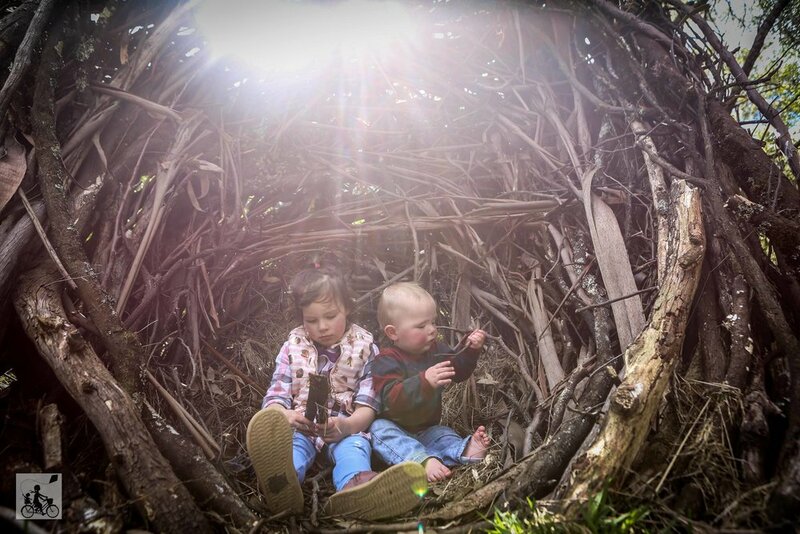 See if the kids can sit still and quiet enough for some feathered friends to fly right on by. Mamma has lost count how many birds make their home in the bush nearby but the calls are beautiful. This incredible space is constantly evolving and has changed every time we have visited over the last three years. The giant nest that was at the base of the hill is no longer there, however the magic still remains around the fields. 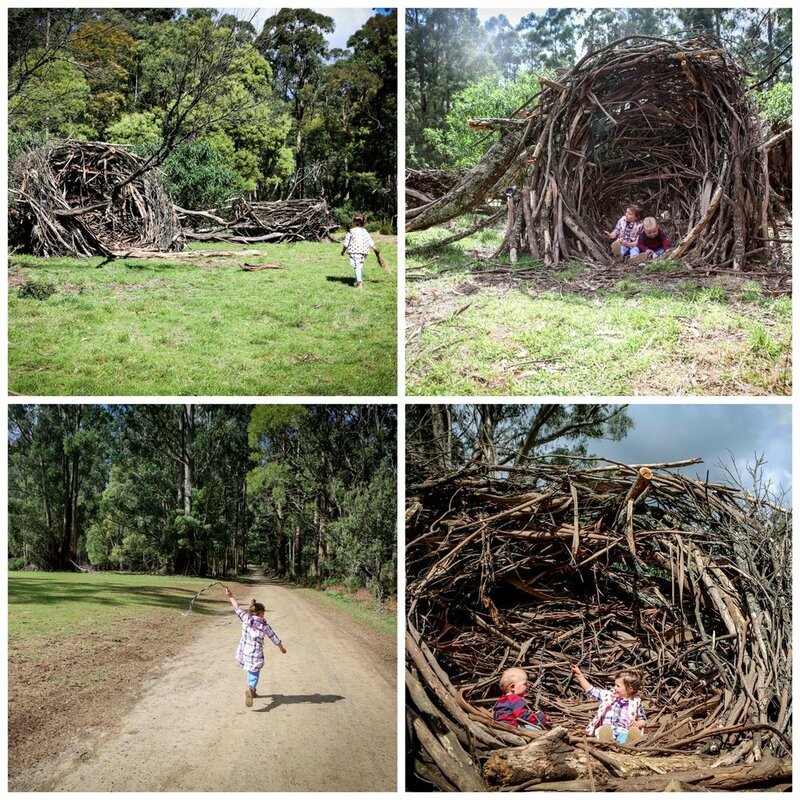 There are pop up cubbies and Mamma’s new favourite piece - the three birds nests in the scone paddock. You can access this spot via the trail or head downhill from the first paddock and you will arrive in the same spot. Look out for the fallen tree. Mamma wants to know what kind of birds were living in this tree before it fell over! 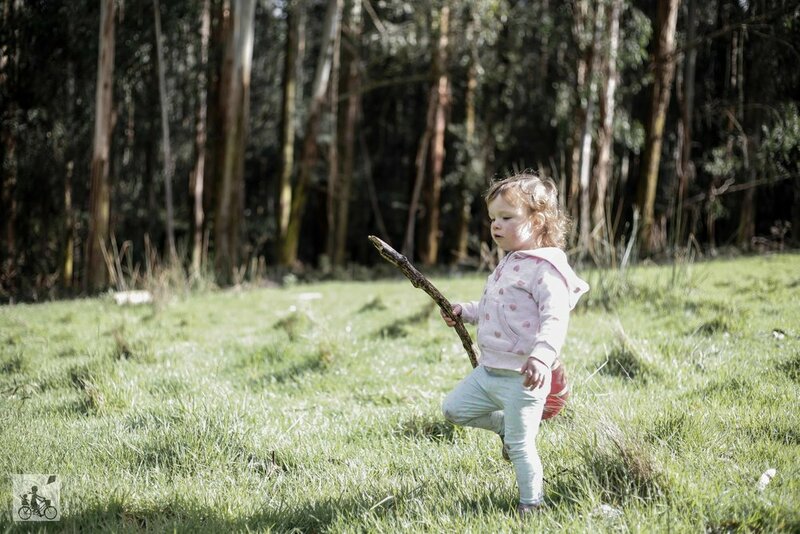 Mamma's special mention: If this is an adventure that they loved, be sure to take them up to Redwood Forest in East Warburton next!